In recent years, filmmakers from South American countries including Chile, Argentina and Brazil have received international attention for dramatic movies centered on women characters, films that inventively explore both the outward and internal journeys of people often marginalized in life as well as cinema. One of the best of these, “Gloria” by Chile’s Sebastian Lelio (whose “A Fantastic Woman” won the Best Foreign-Language Film Oscar this year), gained numerous global plaudits in 2013, including winning the Silver Bear for Best Actress at the Berlin International Film Festival for its star, Paulina Garcia. 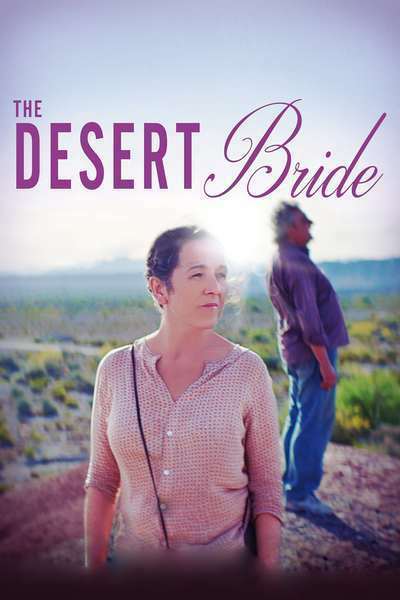 “The Desert Bride,” a Chilean-Argentinian film written and directed by Cecilia Atan and Varelia Pivato, belongs to the same de facto genre as Lelio’s film, but it’s a slighter effort both in terms of length (78 minutes) and dramatic heft and complexity. With a road movie story that aims toward simplistic and rather formulaic romantic wish-fulfillment, it offers some interesting scenery, but its main attraction is another estimable performance by the talented Garcia. The Chilean actress plays a 50-something Argentinian maid in the midst of a life transition. As in other films of its type, class is an issue here, but it’s handled with commendable nuance. As we learn in a series of flashbacks, Teresa has worked for the same family for 30 years, but as they’re selling their house and no longer able to afford her, they have arranged for her to go work for relatives of theirs in the city of San Juan, which lies in the semi-desert region of western Argentina. When her bus breaks down on the way to San Juan, Teresa and other passengers are stranded for an indeterminate amount of time. They've landed at a pilgrimage site dedicated to La Difunta Correa, a legendary woman who has the status of an unofficial saint. Asked by one of the devout if she’s a believer, Teresa answers with a brusque, “No.” But of course, like most of us, she would not spurn any miracles that happened to come her way. The film doesn’t explain the origin or importance of La Difunta Correa, which would be known to Argentinians and Chileans, but she was a 19th-century woman who died while crossing the desert. Those who discovered her body found that her baby was suckling on her breast, which is how she became known as a worker of miracles. As we see, pilgrims today pile up water bottles at her shrine in the town of Vallecito to help her quench her thirst. While killing time on her unexpected layover, Teresa meets a garrulous tradesman nicknamed El Gringo (Claudio Rissi)—though “I’m no gringo,” he says—and tries on a dress in his camper van. When he leaves, she realizes he must have taken her bag, which contains all of her belongings. Though she doesn’t suspect theft or trickery, she knows she must track him down. That takes some time, but when she finds him, he says her bag isn’t in the van; he must’ve left it at one of the places where he’s deposited other goods he carries. Thus begins a mini-odyssey during which the maid and El Gringo get to know each other, and an attraction develops. There’s a shot during this process when they’ve stopped at a store, he’s gone in, and she looks in the van’s rearview mirror. The woman who looks back is more uptight and controlled than she needs to, she suddenly seems to realize. So she slowly unfastens her hair and lets it fall to her shoulders. The gesture seems to reflect feelings not only about El Gringo but about the journey she’s on and where she hopes it will lead her. The film has numerous small touches like this one, many of them put across with grace and intelligence by Garcia’s fine performance. Where the story takes us is ultimately something of a cliché, but this actress’ sharp, distinctive work makes the trip a memorable one nonetheless.